Part II in an occasional series by Don Seeman on the materiality of Jewish prayer. Is thought a form of materiality? The question is not an innocent one. I once overheard two neuroscientists at a faculty mixer joking about some of their colleagues in the humanities who still did not yet seem to realize—they were incredulous, in a self-congratulatory, slightly tipsy sort of way—that “mind” is really just another word for “brain.” But what precisely is at stake in this polemic? I want to argue that there is no empirical question here but really a taxonomic one, and that reflection upon prayer—in my case, classical Jewish models of prayer—may help to reframe our mostly implicit taxonomies of matter and spirit in helpful and intellectually freeing ways. Is mind really just another word for brain? I think it depends on what you are asking. Prayer has long served as a primary site for expressions of anxiety over the relationship between matter and spirit in human affairs. 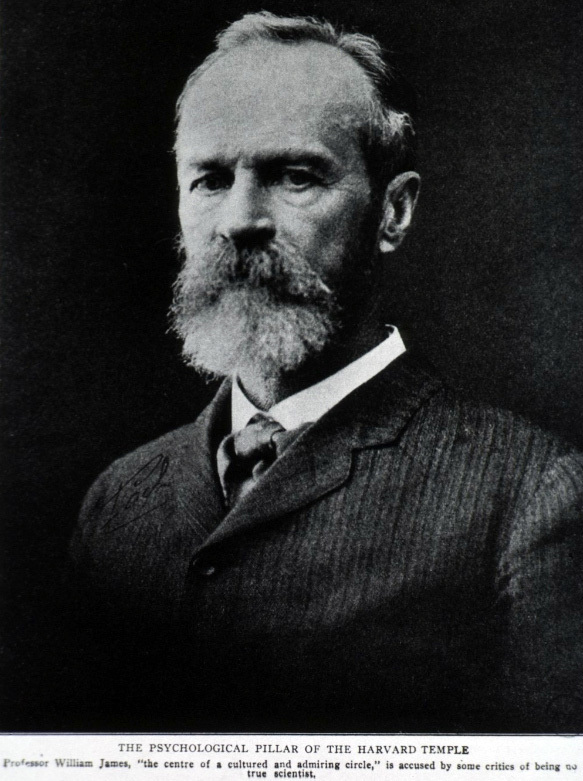 More than a hundred years ago, William James already complained about the “medical materialists” of his day, who thought they could reduce faith to a kind of nervous disorder, and he composed his Varieties of Religious Experience largely in response to that challenge. James, a psychologist, of course did not deny the material basis of mental function, nor did he argue in any simplistic way for the efficacy of prayer. He did however insist that the whole of a complex phenomenon like prayer is much more than just the sum of its parts, and that the existential force of religion must necessarily transcend any narrow account of its physiological mechanism. His empirical accounts of prayer were somewhat flawed from a modern anthropological point of view—they lacked ethnographic context and awareness of the role culture plays in the shaping of human affairs—but they rightly emphasized the holistic sense of personal transcendence that was linked to prayer in many of the narratives upon which he drew. Though today’s materialists have more impressive experimental tools at their disposal, James’ critique is an important reminder that these must be leveraged against broader interpretive approaches that examine prayer in the contexts in which it is lived. One of the factors contributing to the rhetorical appeal of modern materialism is its blunt rejection of the longstanding dichotomy between matter and spirit that has shaped Western civilization. This dichotomy may not be unique to Christianity but it has taken distinctively Christian forms over time. Thus, it was taken for granted throughout the Middle Ages and into modernity that an immaterial and immortal soul should be considered superior to mutable bodies. In religious history, the New Testament’s covenant of the spirit was also deemed superior to the Hebrew Bible’s covenant of flesh, making Christianity superior to Judaism. Later, Protestantism took this trope much further in juxtaposing its own “pure spirituality” of text and prayer with the “magic” and “gross superstition” not just of pagans and Jews but of those churches that practice thick ritual or that take the transubstantiation too literally. Protestants tend to classify prayer with things of the spirit and as an advance over more material forms of worship. Secularized versions of these views were common at the intersection of early anthropology and biblical studies, represented by scholars like Robertson Smith, and they left their mark on these disciplines in both subtle and not so subtle ways. Conceptually, as Talal Asad and others have shown, the supersessionism of thought (and “meaning”) over material practice has made its way into dominant forms of social theory and it continues to strongly inform the complicated cultural tableau against which our contemporary medical materialism strives to make itself felt. If the popular taxonomy influenced by Reformation dialectics identifies prayer as a thing of the spirit, materialists are eager to deny the validity of that formulation. This post is not meant as a critique of new approaches to the study of prayer in neuroscience, psychology, or even religious studies and anthropology, but as a call for resistance to the dichotomous claims of matter and spirit, no matter which side of the disciplinary divide we occupy. From a phenomenological point of view, prayer frequently serves as a mechanism precisely for the mediation between matter and spirit, the attempt to do some kind of justice to our paradoxical sense of ourselves as simultaneously beings who “possess” or inhabit bodies and as beings who “are” bodies. This is a tension that most of the great religious traditions address in one form or another, and while medical materialism where it exists represents a catastrophic impoverishment of language, this is also the case with conceptualizations that locate prayer, thought, and human subjectivity wholly on the immaterial, “spiritual” side of the taxonomic ledger. Are we really constrained to these extremes? Alternatives abound. Jewish prayer is historically bound up with ancient (but no longer practiced) sacrificial worship. Sacrifice itself may well be regarded as a form of prayer, but my topic here is verbal prayer, which accompanied at least some sacrifices and was established as a fixed liturgy by early rabbis. This liturgy, which is still the basis of the liturgies adopted by all major contemporary Jewish groups, borrows elements of timing and structure from the ancient Temple worship, but rabbinic prayer is emphatically not a form of sacrificial enactment the way Catholic mass is for many of its participants. Instead, it is riddled with remembrances and verbal invocations of the sacrificial service and, in Orthodox circles at least, hopes for its reestablishment when the fortunes of the nation are restored. The great codifier Maimonides (1135-1204) holds fast to this model in his authoritative legal corpus, but in his philosophical magnum opus Guide of the Perplexed (III: 32), he also adds a note that has provoked controversy from his day down to our own. Maimonides argues that animal sacrifice was instituted in the Hebrew Bible primarily with an eye towards weaning the ancient Israelites off of gross idolatry—always in Maimonides’ writing identified with exaggerated materialism and sensuality—and that therefore the very project of biblical sacrifice is premised on moving people away from precisely those features of religion that made animal sacrifice so compelling to people in the first place. Maimonides’ views are complex, as are the many counter-arguments brought by his opponents, but I want to focus closely on just one brief passage from Maimonides that juxtaposes sacrifice with prayer. We find here a profoundly progressive impulse in Maimonides’ thought: the more palpable and material forms of worship gradually giving way in human consciousness to something more subtle and abstract. In this hierarchy, though animal sacrifice is obligatory as a matter of biblical law, we are invited to imagine it giving way to prayer, which in turn gives way to pure contemplation of divinity. What is most striking about this passage beyond its treatment of sacrifice, however—already more than a thousand years out of practice when Maimonides wrote—is that he also treats prayer (a core practice of contemporary Judaism, Christianity, and Islam as Maimonides knew them) as only a compromise between divine cunning and human frailty. Prayer is not identified with gross materiality here, but neither is it a thing of pure weightlessness. Necessities of speech, language, communal organization, fixed liturgy, and ritual postures all combine to give prayer at least something of the forms of materiality which Maimonides could well imagine humankind—or at least some humans—transcending. Maimonides’ God is not only incorporeal but is also wholly incommensurate and “otherwise than being” (I have argued in a prior post and article that Levinas probably had Maimonides in mind when he rendered that evocative phrase.) Even to say that God “exists” is, strictly speaking, to engage in unfair comparison with corporeal things. It is clear why Christian incarnation seems to this view like an unthinkable offense of misplaced materialism, but Maimonides is far from letting his own coreligionists off the hook. Even prayer, which Maimonides affirms as a legal and theological necessity—even prayer may ultimately fail to meet the demands of a God who detests idolatry. But what can be said about pure thought? Contemplation is in some ways closer to the divine ideal than verbal prayer can ever be, but it too is subject to Maimonides’ radical critique. As he makes clear in Guide I: 54, “man cannot see [i.e. conceptualize] Me and live” (Exodus 34). That is why in the end Maimonides returns to the theme of practice in the material world—ritual practice of the divine commandments as well as ethical practice of “justice, righteousness and judgment in the earth” (Jeremiah 9: 23). This is the verse with which the Guide of the Perplexed (III: 54) concludes. Since thought at the limits of human philosophical speculation also proves too coarse and material to ultimately grasp divinity, we are pushed back, in Maimonides’ words, onto a mixture of contemplation and practical imitatio Dei as the closest thing to an apotheosis that human life in its material contingency can support. Would it surprise Maimonides to learn that we can map the brain functions that are enlivened by the practice of prayer or by contemplation? These are in any case material processes that strain the limits of human physicality as Maimonides understood them. But perhaps a better question would be whether this view of graded and inescapable materiality in search of an elusive transcendence—through contemplation, prayer, and moral practice—might also enrich our own collective discourse? Would it help us to better understand both prayer and the human condition if instead of fixating on the question of materiality we took that for granted and asked instead what kinds and degrees of materiality are implied by the different functions of being human? Modern Hasidism has been troubled by some of the same problems that troubled Maimonides, and many Hasidic thinkers were also careful readers of his corpus, even when they suggested answers that Maimonides himself may not have accepted. Partly because of their kabbalistic heritage and partly because of their concern with serving God through the material world (avodah ba-gashmiyut), Hasidic writers return almost obsessively to the problem of materiality and its mediation through spiritual practice. From their perspective, which may well resonate with some of the relativistic tropes of postmodern thought, matter and spirit are positionally related to one another: what seems like matter from one point of view may be considered immaterial or even spiritual from another. Contemporary Hasidic writers do not hesitate to use modern physics’ mutability of matter and energy as an apt analogy for their view. “Your commandments have made me wiser than my enemies!” declares the Psalmist (119: 98), but the Hebrew may also be read only a little against the grain as: “My enemies have made me wise through your commandments.” One early Hasidic reading has it that one learns wisdom through one’s enemies, which are one’s own passions and material lusts , once one learns to trace these back to their source. Thus, Levi-Yitzhak of Berditchev (Kedushat Levi, Parashat Noach) teaches that when an otherwise pious person desires some transient thing of this world, his heart will tend to flame in response with desire to attach itself to eternity instead. Then he will realize that this desire was really only a “vessel” or “garment” for the love of God, which is itself only a “vessel” for the divine brilliance of the Creator (behirut ha-Borei). This is an imagery of concentric vessels within vessels, garments within garments, becoming more subtle and more removed from materiality as one move inwards toward the central point from which divine emanation began. Hasidism inherited much of this cosmology from earlier Kabbalah but added its own distinctive emphasis on the accessibility of the divine light concealed within gross matter emphasized here (also see my previous essay, “To Pray with the Tables and with the Chairs“). In somewhat different language, this means that the more “exterior” facets of the divine soul of a person (the “faculty of action”) become like a garment or a body in relation to the more “interior” facet of divine will related to the fulfillment of the commandments. Body and soul are not wholly stable categories in this religious idiom but rather relational qualities. The “brain engaged in reflecting on the words of the Torah or the fear of Heaven or the greatness of God, blessed be He,” continues Tanya, becomes a garment or a body for the divine will that animates it as surely as “the hand that gives charity or the feet that carry a person to prayer.” In other texts we find that physical activity may “clothe” and express affect, which in turn acts as a garment for thought, which acts in turn as a garment for the will which guides it. Bodies and souls are kinds of activities in this idiom, rather than kinds of things. Bodies are as bodies do. Or to put this another way, materiality is a verb. Here again, I would like to ask: Would our contemporary tug-o-war between medical materialism and disembodied spiritualism look any different if, instead of adopting a crude binary of matter and spirit as our baseline (i.e. “is mind really just a material function?”), we learned insteadto ask, “material in relation to what?” I am not advocating that Hasidic or Maimonidean cosmologies replace our contemporary post-Newtonian notions of causality, or that neuroscience adopt some hazy principle of spirituality—far from it. What I am, however, suggesting is that we need to think more carefully about the taken-for-granted, local knowledge taxonomies of materiality from which our thinking and research typically begin. I am arguing that the variety of ways in which people have conceptualized prayer should be treated not just as an object of historical or theological inquiry, but also as a critical resource for scholars who want to reexamine the taxonomies of materiality that underlie both our religions and our sciences. To end with a question: would a model of contingent materiality like one of those I have briefly explored here allow us to avoid the trap of medical materialism that pits mind against brain or mere explanation against understanding?